Jesse Joyce is an actor. Jesse Joyce's recent filmography includes the movies Comedy Central Roast of James Franco (2013) and Comedy Central Roast of Donald Trump (2011). Jesse Joyce's recent TV appearances include @midnight With Chris Hardwick and Comedy Underground With Dave Attell. On Spotify, Jesse Joyce keeps a low profile with only around 1,300 followers and a popularity score of 26 out of 100 as of 2018. His most popular track on Spotify is "Ireland" from the album Joyce To The World. As of 2018, Jesse Joyce has contributed to about 3 movies. 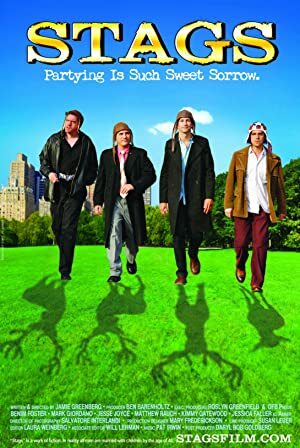 Some of the most recent Jesse Joyce movies include Comedy Central Roast of James Franco, Comedy Central Roast of Donald Trump, and Stags. Comedy Central Roast of James Franco was released in 2013. 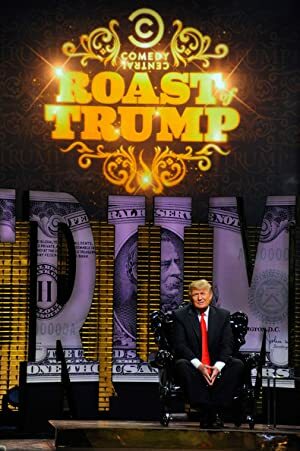 Comedy Central Roast of Donald Trump was released in 2011. Jesse Joyce appeared as Price in Stags, also released in 2011. There are about 2 TV shows that have featured Jesse Joyce as of 2018. Some of the most recent Jesse Joyce TV appearances include @midnight With Chris Hardwick and Comedy Underground With Dave Attell. Jesse Joyce appeared on and was a panelist on @midnight With Chris Hardwick in 2017. In 2014, he performed on Comedy Underground With Dave Attell. As of 2018, Jesse Joyce has 1,300 followers and a popularity score of 26 on Spotify. Joyce To The World and Pro Joyce are some of the more popular Jesse Joyce albums. Notable tracks from these albums include Ireland, Ireland, and Compromise. Ireland is the most popular track from Jesse Joyce, scoring 36 out of 100 on the popularity scale. Ireland and Compromise have popularity scores of 36 and 11, respectively. The Spotify popularity score is on a scale from 0 to 100 and reflects the number of times the song has been played and how recently it has been played.